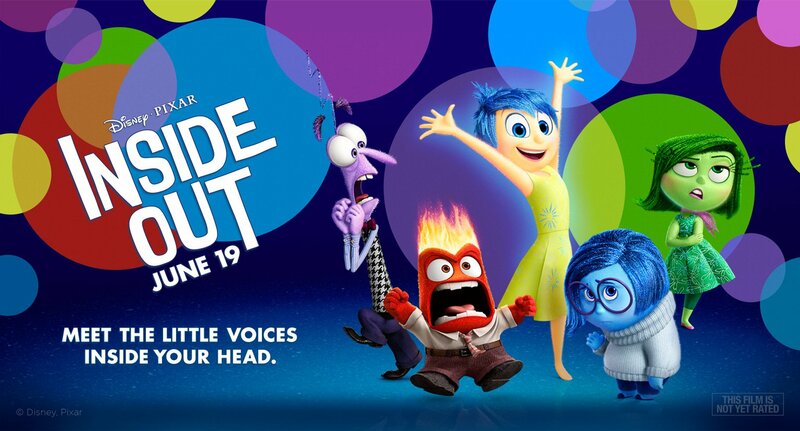 Tonight I finally caught up (you know, 4 months late) with the phenomenal Inside Out. I’ve had friends raving about it for months but I had really limited money over the summer so a trip to the cinema was out of the question. I absolutely love this movie, it’s absolutely fantastic and all the characters are just brilliantly written, I don’t know anyone would couldn’t relate to at least one of them. For me I feel like there is a big battle between the Sadness and Joy in my head, especially when I’m stressed, oh and you know Anger and Disgust are best buds for me. Fear is around too. Now I bet you’re reading this and thinking she’s lost it, she’s finally lost it. While I don’t think there are little people in my brain controlling what I think, say and do, I’ve never seeing something that I just got so much. It’s a really sweet film and great for kids to learn and understand…although I’d definitely love to see a sequel when she’s a teenager. Because you know then all the emotions would just freak out and everyone who’s been through it would just nod along and remember the emotional freak out.